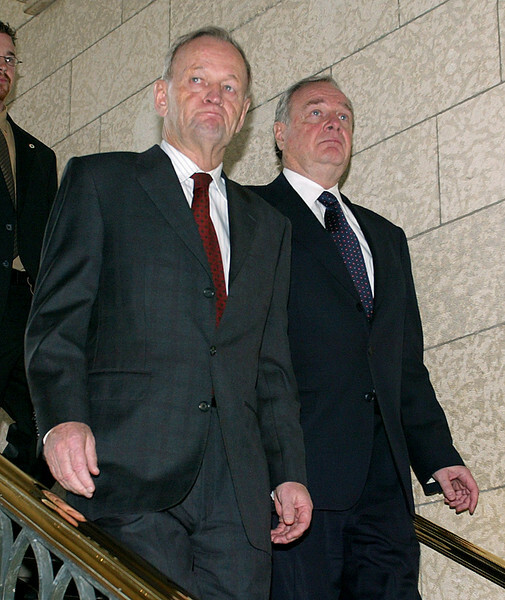 Prime Minister of Canada, Jean Chretien (L), and Liberal party leader, Paul Martin (R), descend the stairs from Chretien's office to talk to reporters in Ottawa Tuesday, November 18, 2003. It was announced that Chretien will retire on December 12, 2003 and Martin will become Prime Minister. Photo by Patrick Doyle.